The John Flatley Company is hosting their 7th Annual Flatley Challenge, a tech startup competition that provides winners with a year of free rent for up to 5,000 square feet of office and/or lab space at the Nashua Technology Park and/or Nashua Office Park at Gateway Hills and up to $10,000 in fit-up, connectivity and related costs. 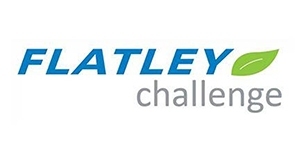 The Flatley Challenge is designed to assist startups and emerging businesses in various high‐tech fields by the unique opportunity to interact with world class companies already residing at Gateway Hills such as Dell, Skillsoft, Amphenol TCS, Benchmark Electronics, Arista Networks, Plexxi and Parallel Wireless. Past winners include Vybe Software — a high-tech company whose iOS application, DevKit, enables K-12 students to create their own, fully functional mobile applications and games from an iPad or iPhone while learning code — and D&P Bioinnovations, a regenerative medicine company focused on repairing damaged organs with engineered biomaterials and stem cells. EDACS (Education Access and Support), a cloud-based application designed to help schools from kindergarten through college manage learning accommodations and increase retention for special education students, was the runner-up. Interested candidates may apply online at http://www.gateway-hills.com/flatley-challenge/. Deadline for applications is Wednesday, October 31, 2017. A short list of the highest scoring applicants will be invited for a personal interview before our review panel in early December with the winning applicant(s) to be notified no later than December 31, 2018.